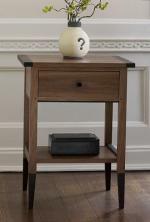 Classic Shaker styling and craftsmanship meet modern sensibility in this End Table, a masterpiece of fine woodworking. Designed to highlight the rich grain of cherry and wenge wood, it is precisely crafted with mortise & tenon joinery and pegged construction for enduring stability. 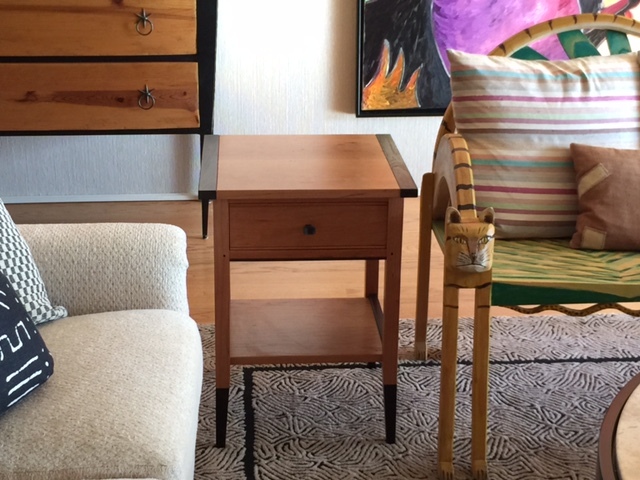 One dovetail drawer and one shelf. Finished with clear lacquer.